Ten Ton Hammer | Does Character Customization Matter? Today Xerin looks at the technology behind VR and the prospect of a VRMMO. Pineview Drive - Where Did I Leave My Keys? Lifetap Volume 1, Issue 6 – Does Character Customization Matter? MMOs may come in all shapes and sizes, but that isn’t always the case when it comes to the playable characters that serve as our window into these virtual worlds. Over time, there have been plenty of examples representing both ends of a very broad spectrum when it comes to character customization. Depending on the development studio, differing amounts of attention to detail will be placed on player avatars, and some have introduced additional customization options as a means of further monetizing a given property. While I’m far from being any kind of graphics snob when it comes to massively multiplayer online games, there are two criteria a given title must meet for me to continue playing over longer periods of time. Both are introduced within minutes of launching a new title, and can help determine how much time I end up investing in a game, be it minutes, hours, week, months, or in a handful of cases, years. Attractive character models are a must if I’m going to invest any length of time in a game. I’m not saying they have to fall under some skewed definition of “beauty”, but they have to be pleasing to look at. This even applies to first-person games. Even if I’m not looking at the back of my own character’s head, I’m still scampering around seeing dozens or hundreds of other player avatars in any given gaming session. Fluid movement and combat animations form another critical factor. While you might consider animations to be twice removed from character customization, the two often go hand-in-hand. The skeletons used to animate a character help determine how extreme the changes to a mesh can be. Even without that influencing factor, poorly animated characters will often cause me to shy away from playing an MMO long-term. The list of games that I have spent the most time playing all share those two things in common: attractive character models, and slick animations. EverQuest II, Guild Wars, Guild Wars 2, and Marvel Heroes are just a few examples, though there are plenty of others. In the case of Marvel Heroes, the onus is on Gazillion to create characters that look great out of the box as they are based on existing Marvel characters. Customization options in that title are more of a cosmetic skin swapping, similar to what we see in MOBAs. In many ways, MH represents a good case for customization not really mattering at all, so long as the base models are slick and players have the ability to cosmetically alter them in a more outward sense rather than having access to a long list of eyebrow sliders. How Far Should Customization Options Go? A few development studios have pushed the limits of character customization to extremes over the years, but remain isolated cases rather than informing the rest of the industry, or setting any kind of standards. 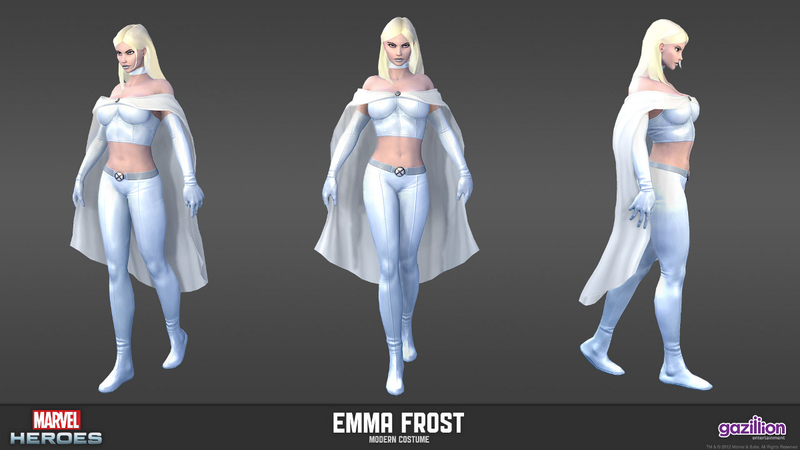 Cryptic Studios has made a name for itself based on its handling of customization in the original City of Heroes and City of Villains. Interestingly enough, the emphasis on character model alterations has been downplayed in its most recent title, Neverwinter. All Points Bulletin is another title that went above and beyond the call of duty to provide a robust suite of customization options to players. In fact, it’s such an integral aspect of gameplay that many advancement rewards focus on cosmetic and customization unlocks for both avatars and vehicles. Of course, there are far more titles that represent the extreme opposite end of the spectrum, offering the equivalent of a checklist for you to quickly burn through. World of Warcraft set a strong precedence here, keeping character-level tweaks to a bare minimum in favor or customization via cosmetic gear upgrades. This approach served WoW quite well for a long time, though it is interesting to note that Blizzard has used the upgraded character models coming in the Warlords of Draenor as part of the early marketing platform for the expansion. At the same time, this one-size-fits-all approach hasn’t necessarily served other titles as well. While there are a lot of things I enjoy about Firefall, for example, the character models are definitely not one of them. Given the widespread iteration seen during the extended beta for the game, I thought we’d surely see improved character models, or additional customization options enter the picture at some point. Instead, it features a system similar to PlanetSide 2 which uses stock character models but then allows players to alter armor cosmetics so that you can still create a more distinctive avatar. Newer titles, such as WildStar, sit somewhere between the two extremes. Originally, that game was only going to have a single stock body type for each playable race. 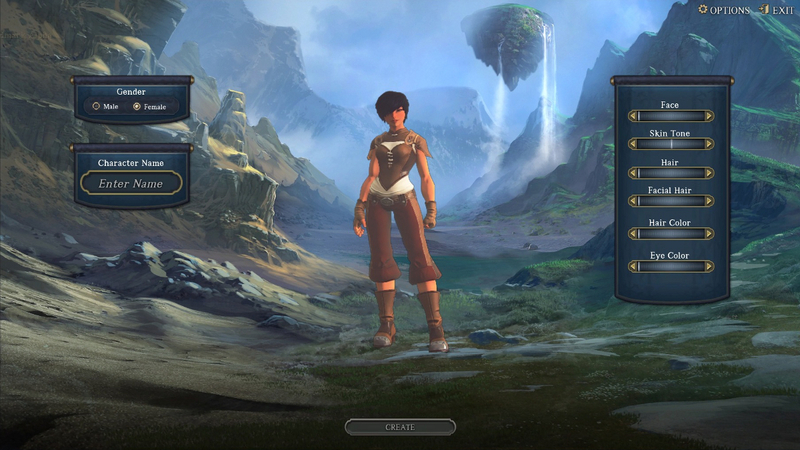 Beta testers and vocal followers of the game were adamant about their desire to see more options during character creation, so these were worked in prior to the game’s launch. But as Carbine noted, something so seemingly simple on the surface can also cost the studio a lot of time and money to achieve. At the end of the day, character customization matters greatly for some players, while not at all to others. I personally believe that customization options are strongly linked to the overall stickiness of a given title. The options don’t always have to be on the character model level, so long as there are ample cosmetic options present that can be unlocked through gameplay or cash shop purchases. One of the titles I’ll be watching with great interest next week when Ten Ton Hammer heads to SOE Live is EverQuest Next. Landmark has given us a glimpse of what we can expect from character models and animations (both are extremely well executed), but so far hasn’t given me a lot confidence that character creation will be very robust in Next. One of the great ironies of Landmark being that the game is all about cosmetic alteration and creation, but it has one of the most lackluster character creation tools I’ve seen in years. Does character customization matter? To me it most definitely does, but I’d love to hear some other perspectives on the topic in the comments below if you're in a sharing mood. To read the latest guides, news, and features you can visit our We Love Bacon Game Page. Reuben "Sardu" Waters has been writing professionally about the MMOG industry for eight years, and is the current Editor-in-Chief and Director of Development for Ten Ton Hammer.